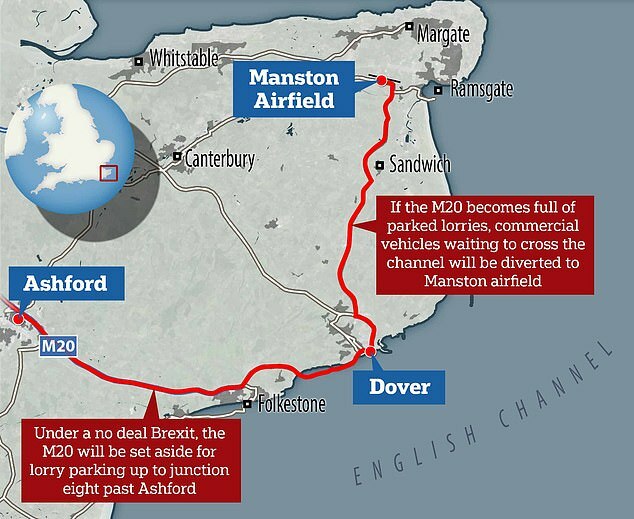 Up to 150 lorries will be sent from Manston Airport to Dover during rush hour on Monday in a test to see if Britain is ready for a no deal Brexit. 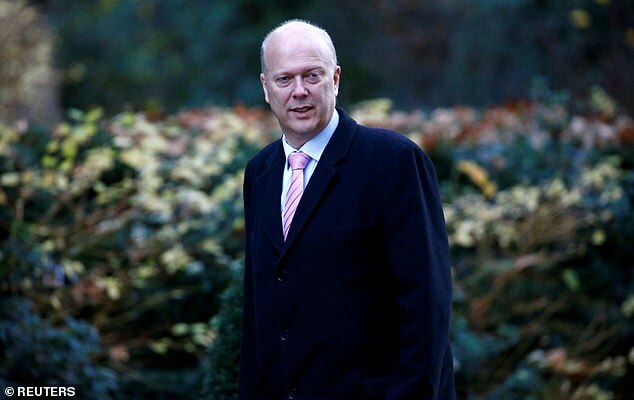 In a letter to hauliers DfT and Kent County Council officials revealed they would run tests during the morning rush hour at 8am, and again at 11am, to ‘establish the safest optimum release rate of HGVs’ from the airfield to Dover along the A256. It said it would pay for 100-150 hauliers from the local area to take part in the test of Operation Brock. Up to 6,000 lorries could be parked on the site under the plan. 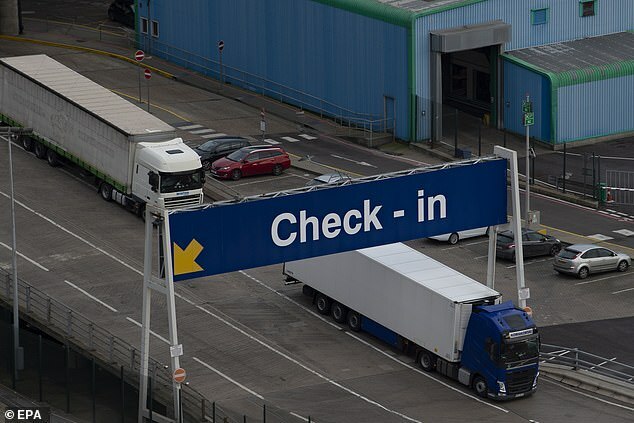 Congestion at the Channel ports caused by the reintroduction of customs checks on goods has been one of the most commonly cited negative impacts of a no-deal withdrawal from the EU at the end of March. 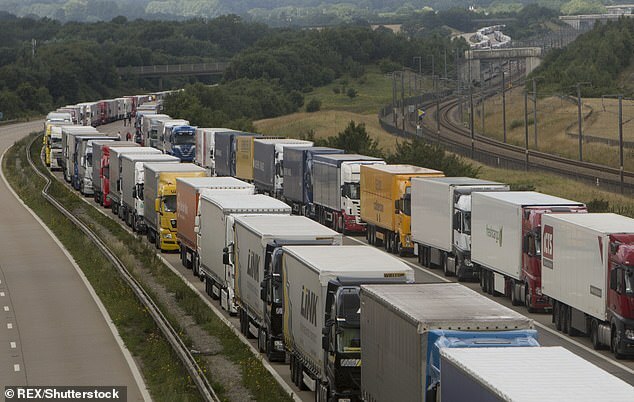 In the event of congestion, lorries will first be parked on the M20 under Operation Stack in a similar way to when bad weather or strikes close the Dover-Calais route. Once that is full as far as Ashford, trucks would be sent to Manston. The news came after it was reported that Theresa May was due to speak with European Commission president Jean-Claude Juncker on Friday as she seeks added flexibility in the Withdrawal Agreement. MPs are due to debate the PM’s Brexit deal on Wednesday ahead of a meaningful vote the following week but the EU has yet to offer any changes. A DfT spokeswoman said: ‘We do not want or expect a no-deal scenario and continue to work hard to deliver a deal with the EU. ‘However, it is the duty of a responsible Government to continue to prepare for all eventualities and contingencies, including a possible no deal. Parish council chairman Cllr Andrew Blaydes told Kent Online: ‘The trial is essential and we have always said it needs to be tested to show the impact on local traffic. However a poll of Conservative Party members has dealt a new blow to Mrs May’s chances of getting her deal through the Commons, with 57% of grassroots Tories saying they would support leaving the EU without an agreement. The DUP has also maintained its opposition to the plan because of the proposed customs ‘backstop’ element of the deal – affecting the Northern Ireland/Ireland border – agreed by Mrs May with Brussels. DUP deputy leader Nigel Dodds insisted his party’s opposition to Irish border backstop proposals had not lessened after a meeting with the Prime Minister on Thursday. Brexit Secretary Stephen Barclay said a second EU referendum would ‘trigger a very populist reaction’ and would further divide the UK. Speaking to German newspaper Die Welt he said: ‘The current rate at which Britain is torn would be small compared to the tensions that a second vote would cause. The comments echoed his Cabinet colleague Jeremy Hunt, after the Foreign Secretary said earlier this week that the consequences for democracy of another referendum would be ‘devastating’.